Imran Ahmad Partner Miller Thomson LLP. 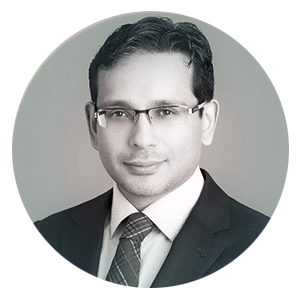 Imran leads Miller Thomson LLP’s National Cybersecurity Law Practice and is based in the Toronto office of the firm. As part of his cybersecurity, privacy and data breach practice, Imran works closely with clients to develop and implement practical and informed strategies related to cyber threats and data breaches. He focuses on legal risk assessments, compliance, due diligence and risk allocation advice, security and data breach incident preparedness and response, and representation in the event of an investigation, enforcement action, or litigation. Imran was recently appointed to the Advisory Board of the Canadian Advanced Technologies Alliance’s Cyber Security Council. He also sits on the Executive Committee of the Ontario Bar Association’s Privacy and Access to Information Law Section. Prior to his call to the bar, Imran was a political advisor to Lieutenant-General the Honourable Roméo A. Dallaire (Ret’d), Senator, and clerked for Justice Edmond P. Blanchard at the Federal Court of Canada and Competition Tribunal in Ottawa. Imran is the author of Canada’s first cybersecurity law handbook titled “Cybersecurity in Canada: A Guide to Best Practices, Planning, and Management”, published by LexisNexis in the summer of 2017. He is also an adjunct professor at the University of Toronto’s Faculty of Law where he teaches Cybersecurity and Privacy Law.